There is much wisdom in the words of Seneca, written some 2000 years ago, on which the future of global economics may yet need to reflect. However, this discussion will start by making some attempt to understand how and why the global economy has become so complex and essential to the modern world. Where did the notion of an economy start? In a sense, it might be argued that the basic concept of an ‘economy’ begins with any conscious exchange of goods and services, which can initially be perceived in terms of a ‘barter system’. 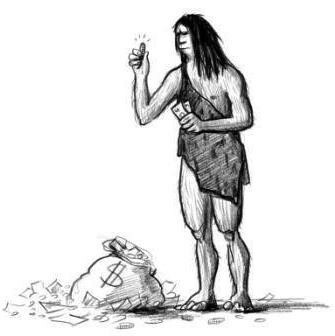 However, the beginnings of such exchanges might well be traced back to even more primitive survival mechanisms, which pre-date human civilisation and certainly long before the creation of any formal financial institutions. 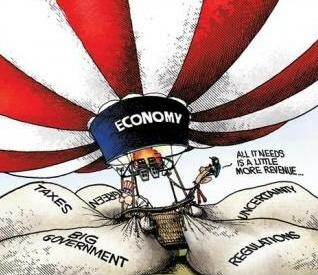 Of course, somewhere along the way, the sophistication of today’s global economy has ‘evolved’ beyond all recognition. So what drove this change? Asset: In the current context, an asset is simply something that has value, e.g. goods, services or commodity, which might be exchanged or traded. Money: Represents some equivalence of an asset, i.e. goods, services or commodity, which may then be more easily exchanged for another goods, services or commodity. Credit: Allows one party to obtain an asset from another party in advance of needing to or even necessarily being able to immediately reimburse the another party, which then usually involves some additional payment by way of interest. Hedging: Started as a way to reduce or spread risk. Today, people invest in managed hedge funds that can use a range of financial techniques over a wide spread of assets to generate a higher return for a given level of risk. 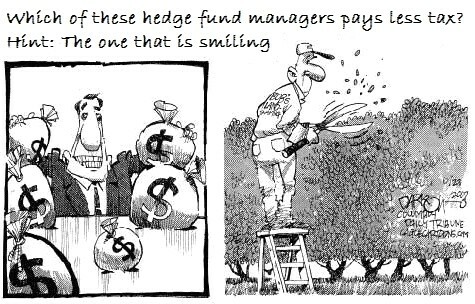 There is also a perception of a hedge fund manager being yet another form of financial ‘parasite’ as suggested by the cartoons above and below, while the fund managers will probably see themselves as simply being astute investors. Derivatives: Are a financial agreement where a payment is agreed based on certain conditions. Many derivatives define options that can increase the gain or loss that result on maturity. For example, the buyer may make an initial small investment, which is also a commitment for a much larger purchase by a certain date. Based on market movement, in the time period agreed, the buyer either makes a gain or loss, such that derivatives can be likened to a financial bet. While the financial mechanisms outlined above have existed in some basic form for many hundreds of years, the sophistication, complexity and abstraction in today’s economy has increased exponentially. However, these basic definitions may also highlight the evolution of a global economy that now separates the world into those who produce things, those who provide services and those who simply trade things and services. While it may never have been more true that ‘money makes the world go around’, many now question whether the rewards extracted from the economy by financial traders and institutions is disproportionally high. Wealth: Is defined as an abundance of valuable resources or material possessions, although today it may often be quantified purely in monetary terms. So, in the context of reductionism and determinism, we might see the acquisition of wealth as a fundamental factor that has driven the evolution of the economy, both in scope and complexity. However, while the desire for wealth might help explain the ‘why’ economies have evolved, it does not necessary explain ‘how’. So what might be described as a fundamental mechanism of economic growth? Transaction: Beyond the basic idea of barter, a transaction can be introduced in terms of a buyer giving money or credit to a seller and the seller giving an asset, i.e. goods, service or commodity, to the buyer in exchange. 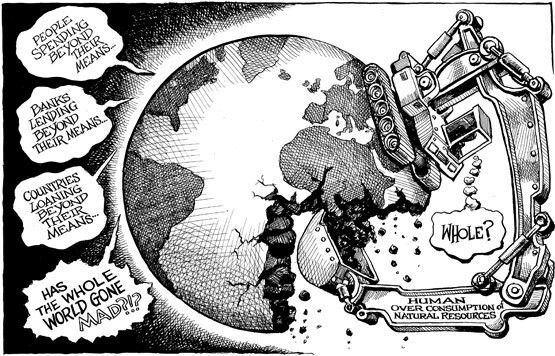 Human nature, i.e. greed, can lead to irrational and fraudulent transactions. The scope and total number of transactions is almost impossible to control. Again, while it is recognised that the possible causes cited above are very simplistic in scope, they may still serve to highlight some of the most basic problems that future discussions will need to consider in more detail. In search for ever greater profits, US and other global financial institutions created products based on ever riskier mortgages, while finding ways to sell them as secure investments. Supposedly independent rating agencies appear to have endorsed the risky mortgage assets with AAA ratings, which were then sold on to global buyers. Many of these agencies subsequently blamed the failure of their ratings on computer automation, possibly suggesting that nobody was personally to blame. Having sold on the risk, original lenders were no longer concerned as to whether any borrower could actually afford to pay their mortgages. Equally, when freed of this risk, lenders used ever more dubious tactics to convince home buyers to take out mortgages without concern of the consequences from which they appeared immune. In a growing credit-driven market, possibly better described as debt laden, the home buyers accepted these mortgage loans without fully understanding that the equity of their homes could fall. When confidence in the house market collapsed, many home buyers lost everything. Faced with the prospect of the economic collapse of its financial institutions, governments stepped in and passed on the cost/losses to its tax payers, thereby creating a debt burden that may take generations to repay. 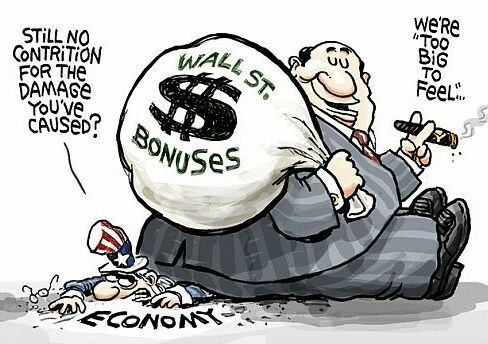 In the midst of this crisis, much of the tax payers’ money effectively ended up in the pockets of the executives of the financial institutions responsible for the crash in the form of bonuses and gold handshakes. This initial discussion has been entitled 'The Evolution of Economics ’ for two reasons. The first by way of a direct analogy to the evolutionary idea of ‘survival of the fittest’, where it would seem that most of the population do not appear to have the necessary ‘skills’ to survive without the protection of the rule of law. As a consequence, the second reason for the title of this discussion is the perceived need for further evolution of the global economic system, so that a degree of both moral and legal justice may one day ‘hopefully’ come to underpin the governance of those that seek to profit by it. What is implied by the call for both moral and legal justice? 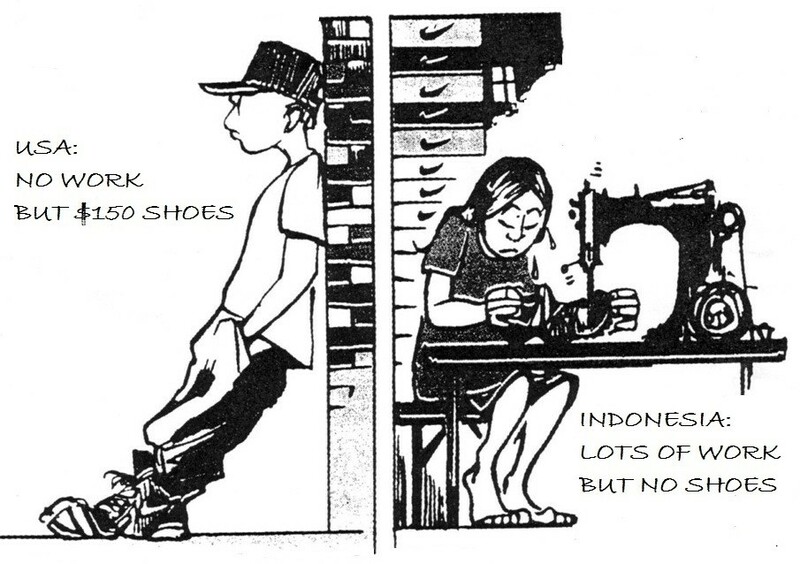 Any economic system, both local and global, clearly reflects the morality of men, and women. In the extract above, there is an implicit suggestion that large-scale systematic fraud, i.e. stealing, took place on a regular basis, which if committed in almost any other context would be classed as a criminal offence subject to a prison sentence. Therefore, knowing the limitations of human morality requires the addition of legal justice or accountability. So how many people were held to account for the 2008 losses? While there may be some mileage in the analogy of the global economy being similar to a chaotic weather system, the chaos was still man-made and little effort appears to have been made to correct its fundamental weakness, i.e. the human condition. As such, the 2008 economic crash should not be likened to a natural disaster, but possibly likened more to global warming, i.e. problem effectively ignored. To-date, no senior official or banker has even been charged, let alone sentenced for the wholesale financial fraud that took place over the many years leading up to the 2008 crash. OK, but did the losses essentially amount to a victimless crime? Again, if we simply divide the global GDP by the global population, the figure might suggest a distributed wealth amounting to $10,000/person. However, in reality, nearly 50% of the global population earn less than $2/day, while the top 1% control nearly 50% of all wealth. 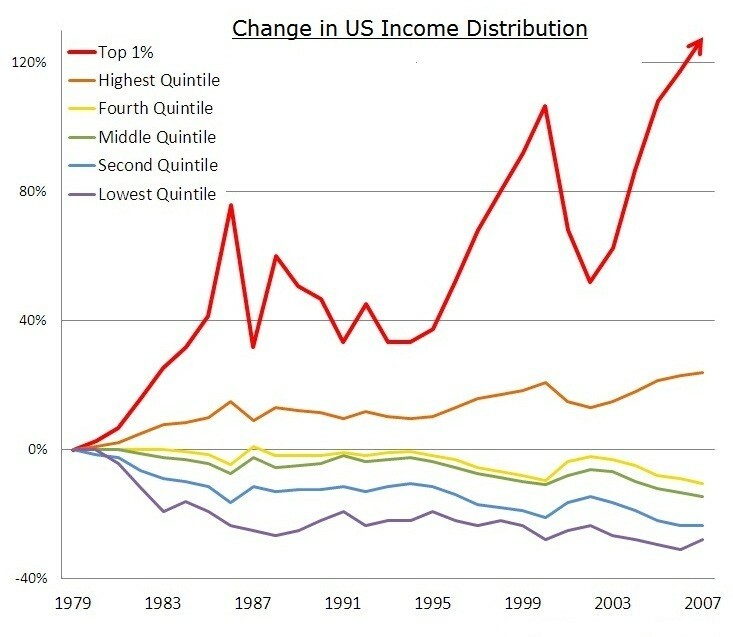 But does this distribution of wealth simply reflect the entrepreneurial skills of the few? While this may be true in a few cases, it would not necessarily imply that it is fair, while history would suggest that the distribution of wealth might be better described in terms of the survival-of-the-fittest. However, this form of natural selection is possibly best described in terms of the evolution of political power as seen across all geographies of the world. Today, the nature and scope of this ‘power’ can take many forms, but invariably seeks to control or manipulate both the legislative and judiciary branches of government to the benefit of the few rather than the many, while often ignoring the long-term interests of the planet as a whole. Socialists: believe that too much economic inequality undermines a society and therefore governments must legislate policies to protect and benefit the poor in terms of the distribution of wealth. Capitalists: believe that government does not use economic resources as efficiently as private enterprise and therefore society is better off with the free market determining economic winners and losers. However, while these positions might be described as different economic ideologies, in practice, the situation is often ‘muddied’ by the political ideology in which they are implemented, e.g. democracy versus communism. While the debate surrounding these political positions will be deferred, it might be said that the pairing of ‘socialism-communism’ often appears to lead to an unelected political elite ignoring the plight of the poor. 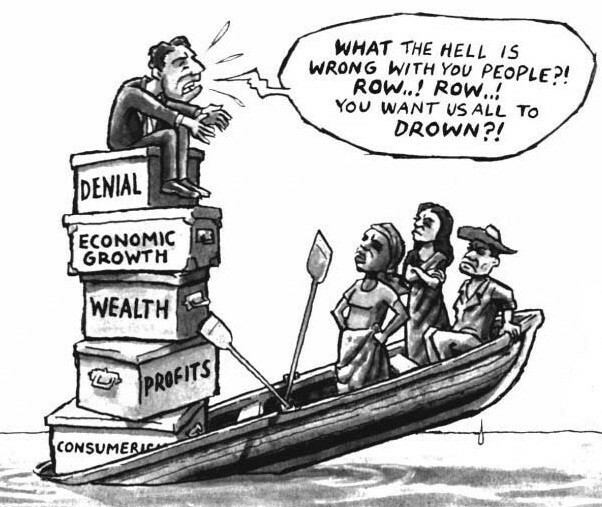 While the pairing of ‘capitalism-democracy’ may seem to require the political elite to take ‘some note’ of the poor in order to be re-elected, in practice, the self-interest of the ‘rich and powerful’ may still be prioritised. But is either pairing really capable of solving the world’s problems? Are there too many people surplus to requirements? What economic policies would such a majority demand? One might reasonably assume this majority would simply demand ‘more for the poor’ as it would be in their ‘self-interest’ to do so. However, the next graph might, in part, provides an alternative insight as to how the answer to this question is currently evolving. For it suggests that wealth distribution between the rich and poor in the US, as in most developed economies, has continued to widen over the last 30 years, despite a conceptual democratic majority being dominated by the poor or, at least, the non-rich. One can only assume that the wealth distribution in Russian in respect to the emergence of its financial oligarchs and the rapid increase in Chinese millionaires would only lead to an even more mark separation between the rich and poor on a global basis. However, this situation may also tell us something about how self-interest may play its part in a world of increasing resource shortages. If so, then the workings of global economics may also tell us something much more profound about how our world may evolve and some of the possible consequences that future generations may be forced to address. Hence the debate will be expanded to include 'The Growing Storm' plus ‘The Limits to Growth’ and ‘The Future of Eco-nomics?’ in the series of discussions to follow. Overview presentation of the discussion of economics. Provides additional commentary on this subject. 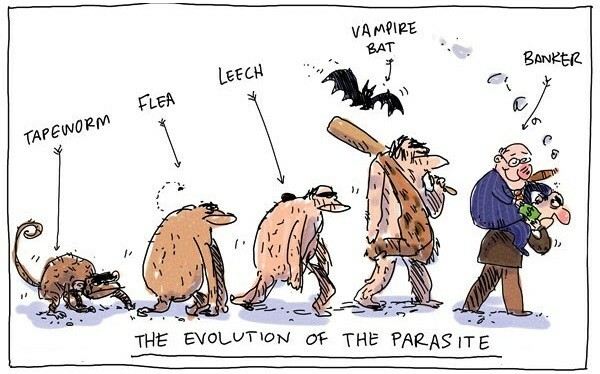 Darwin’s theory of natural selection has often been used as a scientific argument in support of the idea that competition was nature’s way of improving the world. However, natural selection is only a mechanism by which things adapt to a changing environment without necessarily making any judgement as to whether the final result is an improvement or not. Herbert Spencer, who popularised some of Darwin’s work, coined the phrase ‘the survival of the fittest’, which has also become a metaphor, and possibly a justification, for unrestrained and ruthless economic competition. The amount of global debt has soared more than 40% to $100 trillion since the first signs of the financial crisis as governments borrowed to pull their economies out of recession and companies took advantage of record low interest rates. The $30 trillion increase from $70 trillion between mid-2007 and mid-2013 compares with a $3.86 trillion decline in the value of equities to $53.8 trillion. It would take the world's richest person, Carlos Slim, 220 years to spend his $80bn fortune at a rate of $1m per day. By the same token, it would take the poorest earning $1/day over 220 million years to earn the same amount.